With the redevelopment of the historic kiln building, Evergreen is transforming one of the original structures of the former Don Valley Brick Works into a year-round hub where citizens, public and private sectors can collaborate to create flourishing cities of the future. The project — the first of its kind in Canada to strive for a carbon neutral target — is also laying a foundation for what is possible in greener building design. The story starts from the ground up with Evergreen marking its first milestone — the completion of the concrete flooring, incorporating some of the most innovative materials and technologies to cover the 53,000-sq-ft space. Have a look down – this is not your common concrete floor. The materials: First off, it incorporates recycled materials. 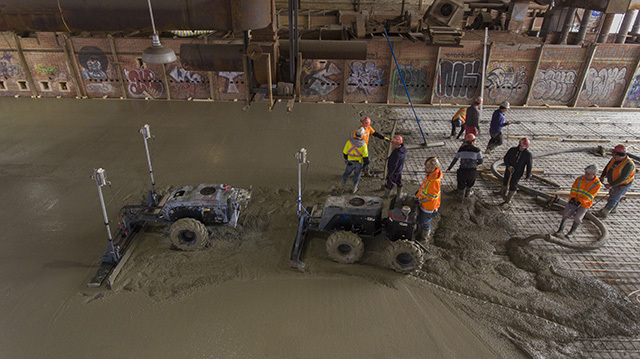 Evergreen and its manufacturing partner CRH Canada introduced a new concrete flooring that integrates post-industrial recycled material and recycled concrete aggregate. 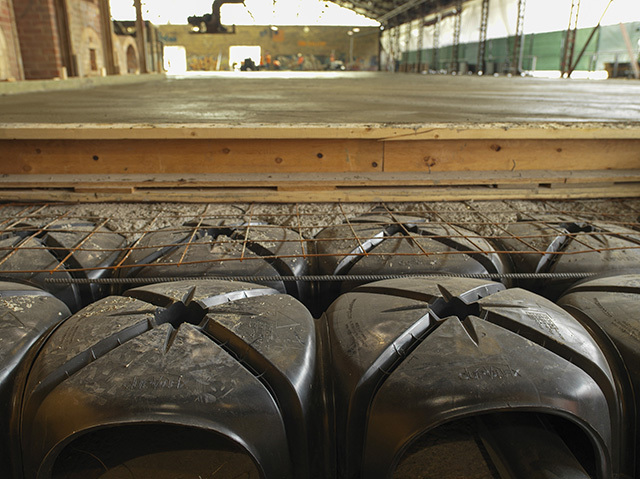 The flooring substrate, used for the first time, provides the same insulation value as regular substrate, while a low-carbon concrete mix results in 25 per cent fewer CO2 emissions from manufacturing. What’s more, the concrete mix also incorporates responsibly-sourced materials from a Cornerstone Standards Council-certified aggregate site adhering to the highest environmental and social standards. The layers: A unique raised cavity floor system called Cupolex allows water to flow underneath, mitigating flood damage and managing stormwater. A low-temperature radiant flooring fed by heating and cooling pipes connected to a heat pump system will be the primary source of heat conditioning the building. The history: Be sure to look closely as you’ll notice a nod to the past with a design feature showing the heritage kiln track systems. The kilns, and the tracks that served them, were in operation from 1957 until the factory ceased production in 1984. 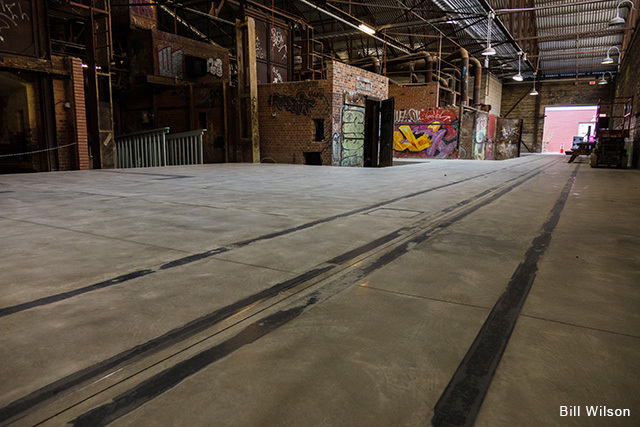 The tracks enabled metal carts to be moved throughout the Brick Works site, and here in the kiln building, carts with upwards of 1,110 bricks each moved from the brick presses (where they were formed) to the drying kilns and then to the kilns proper. Once they were fired, they travelled to the south end of the building where they were then stacked by hand onto pallets and stored or sent directly to building sites. Curious about how it’s done? Please watch the concrete dry – the process is anything but boring! Photos and video by Bryan McBurney unless noted otherwise.